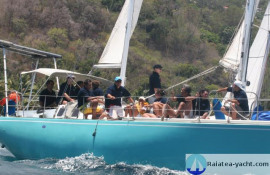 Solid and seaworthy blue-water sailing boat. 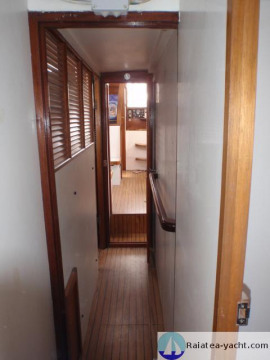 3 cabins. Sailing boat, Beaufort 14, built in 1979 by the Company "Etudes des Carènes", in St Mandrier (France) - designer: JJ Herbulot. but remade with epoxy resin by her owner during a first campaign of deep refit in 2001, and later in 2005. 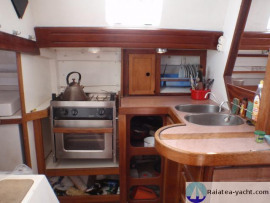 The hull painting is new, in excellent condition, which provides a an additional warranty of watertightness to protect the wood. 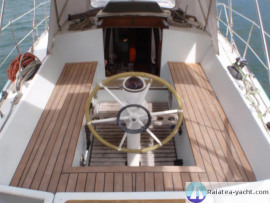 The deck is of epoxy-stratified fiber-glass reinforced plywood; strength, watertightness and visual aspect are perfect. The deck edge was changed in 2005. 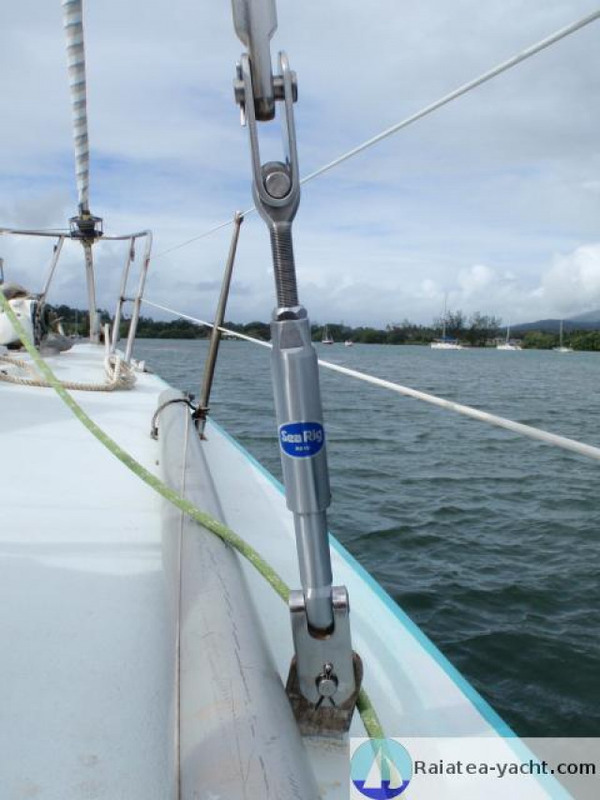 The keel bolts were entirely changed in 2001. 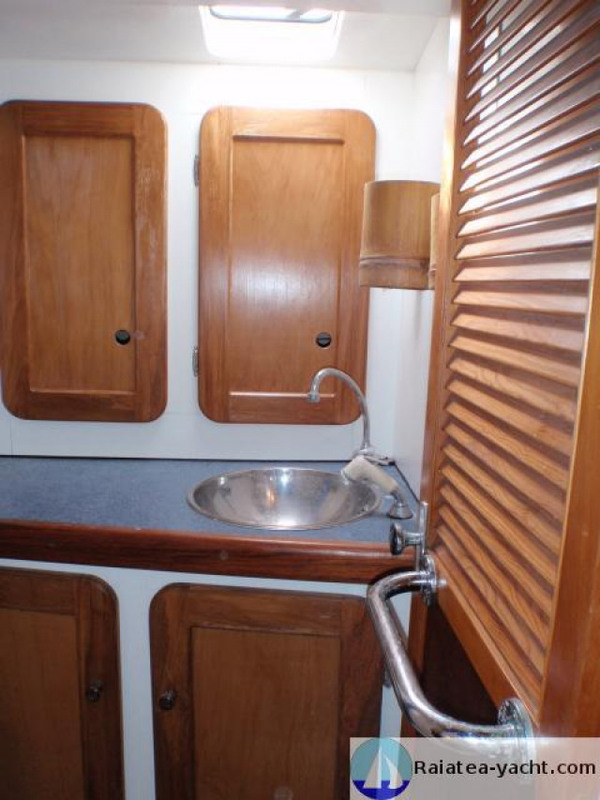 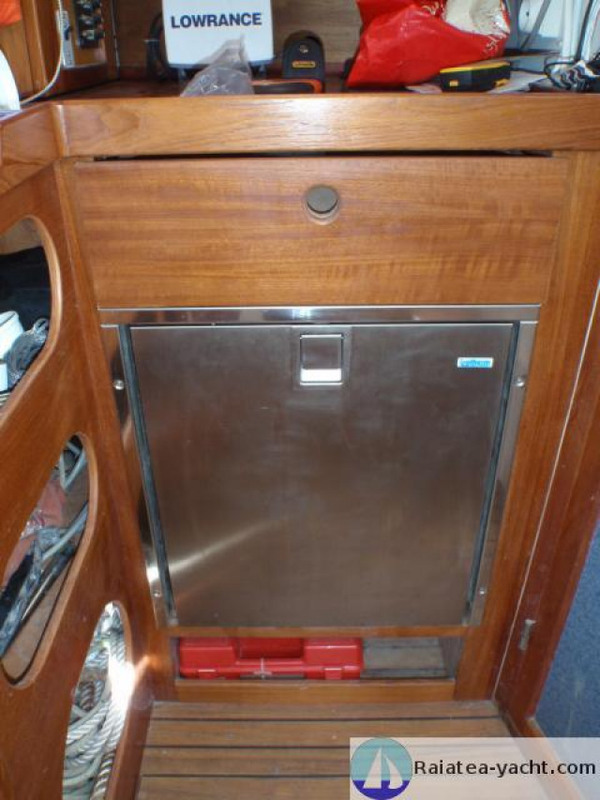 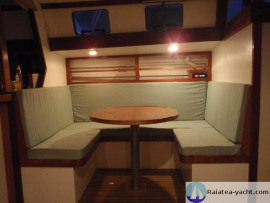 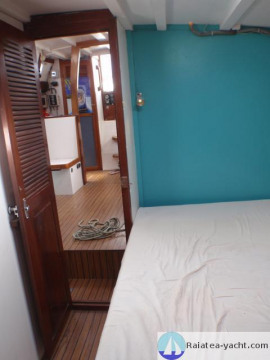 The bilges are frequently inspected and painted, the ribs and the shell plating are in perfect condition. 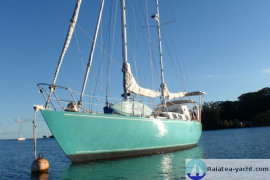 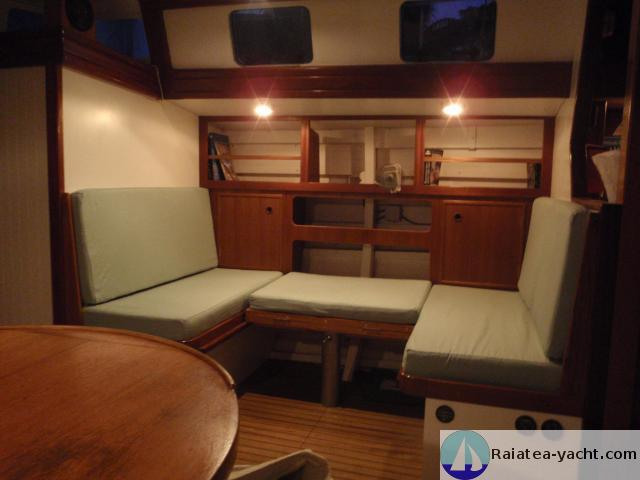 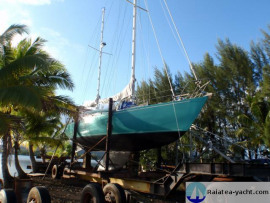 Hull, structure and deck in very good condition. 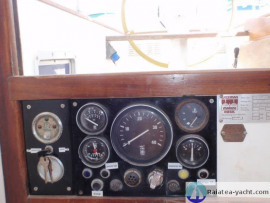 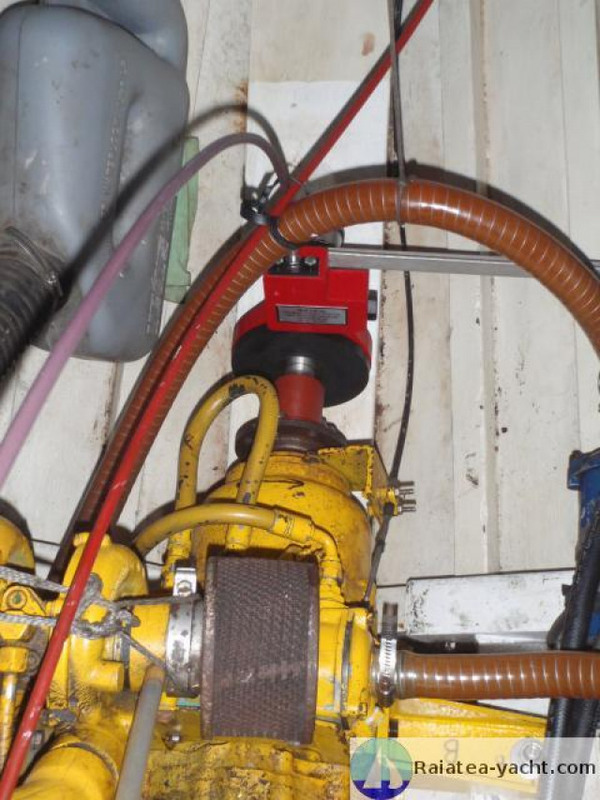 Shaft axis and stern gland changed in 2005, stern tube in 2011. 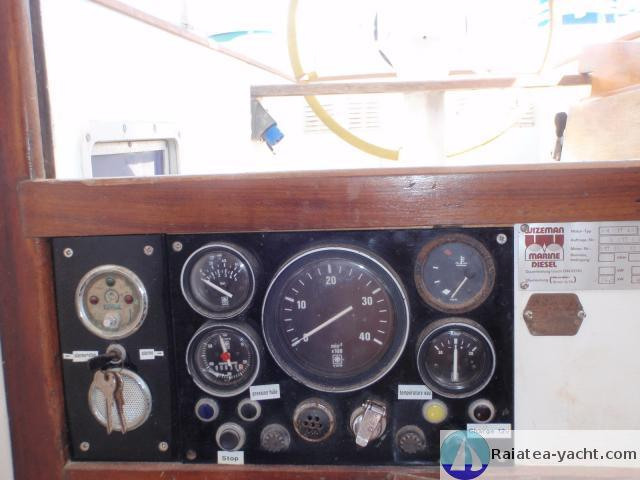 Exhaust line changed in 2005. 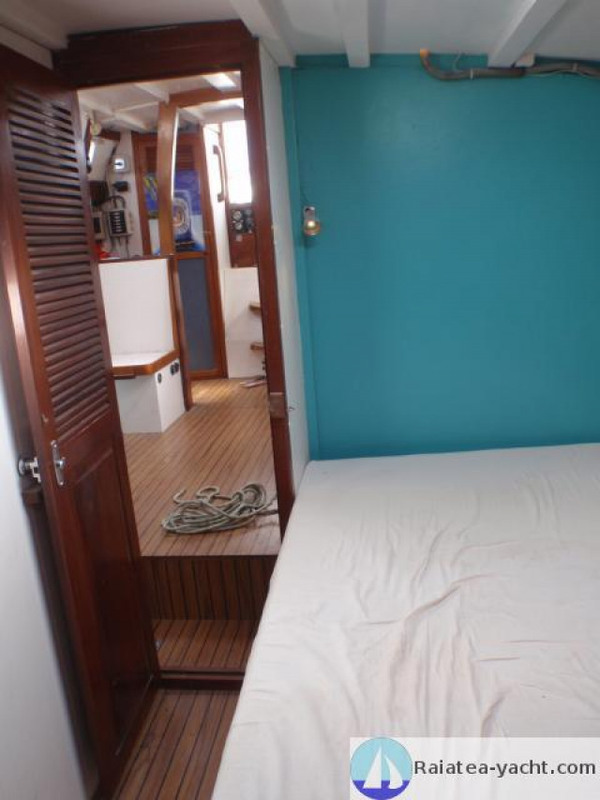 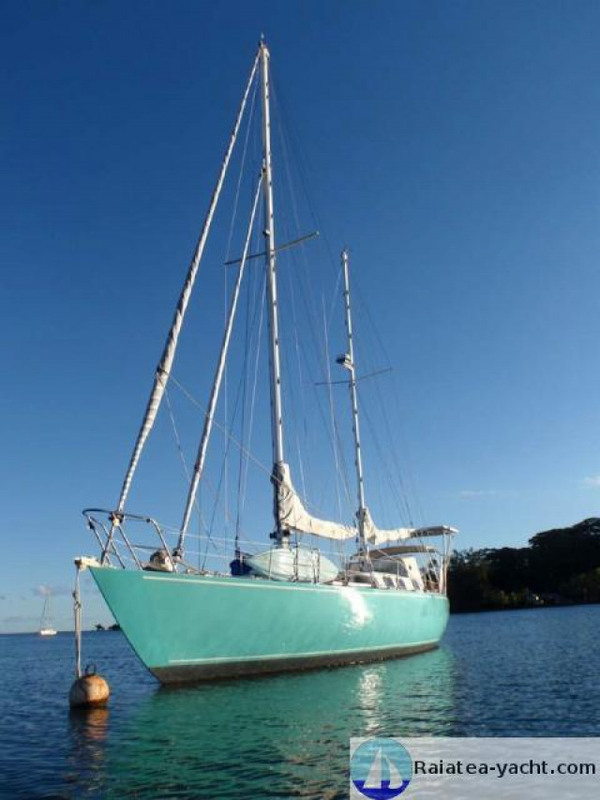 Through the original building quality and a complete refit by her current owner, hull and structure are in perfect condition. 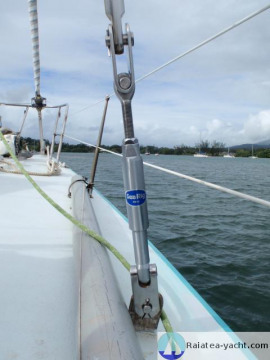 Hull fittings, the simple and sturdy rigging have aged very well and remain perfectly reliable. 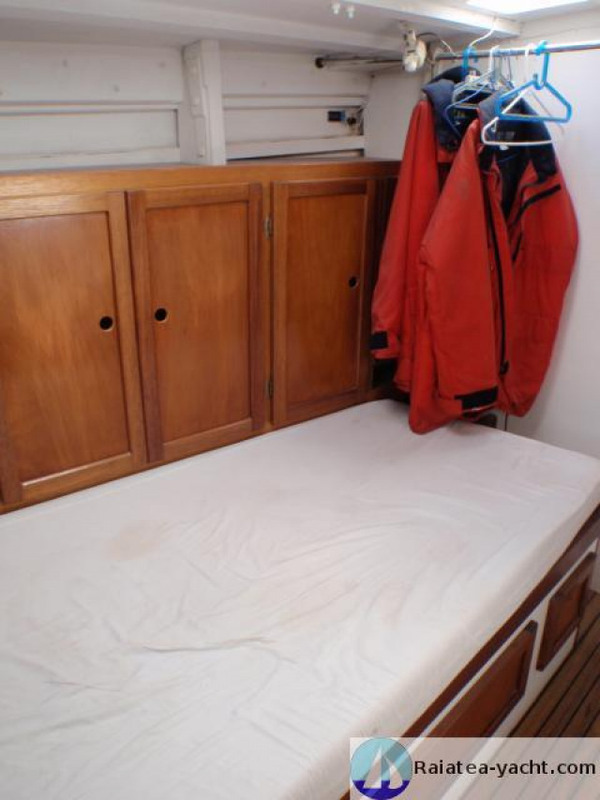 Today, this boat is in a nearly-new condition thanks to the passion and experience of her owner, marine carpenter and knowledgeable sailor. 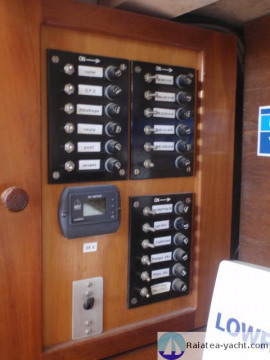 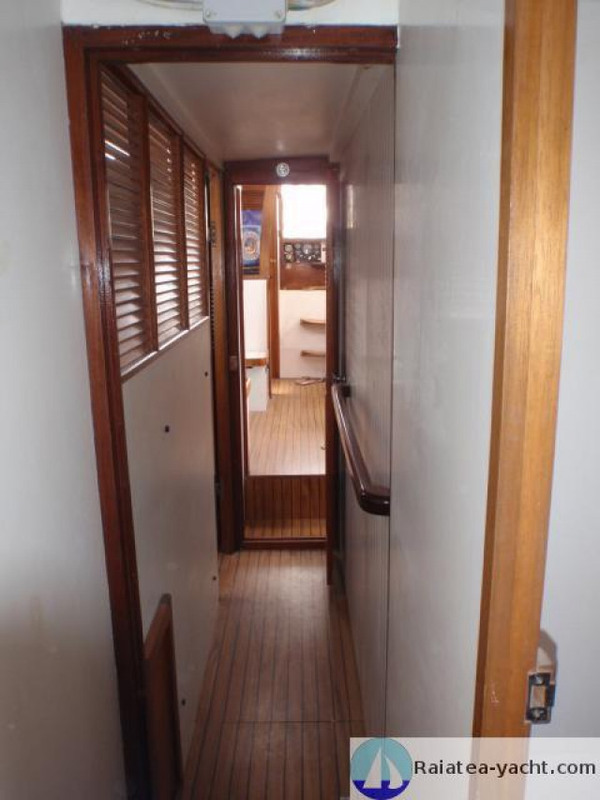 Given her age and the quality of refit, she could be rated "collection" condition. 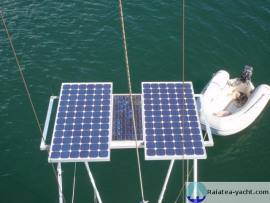 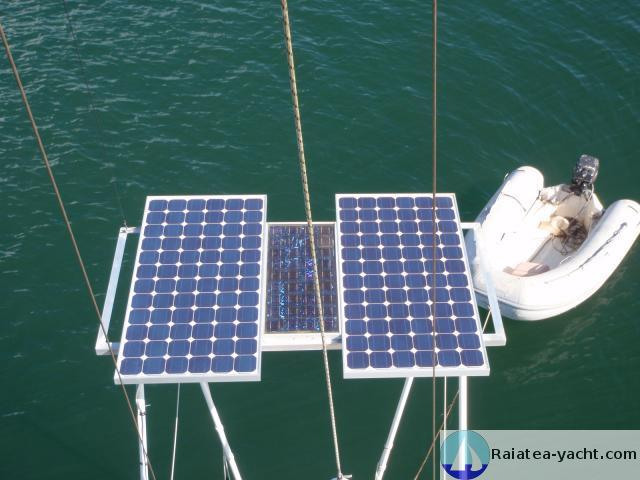 In addition, the sails, standing and electronics and instruments were updated and make the boat a full offshore sailboat again.